Robinhood is a start-up trading platform that has gotten a lot of attention from investors and the financial community. They have been in business for five years and raised $176 million in venture capital. 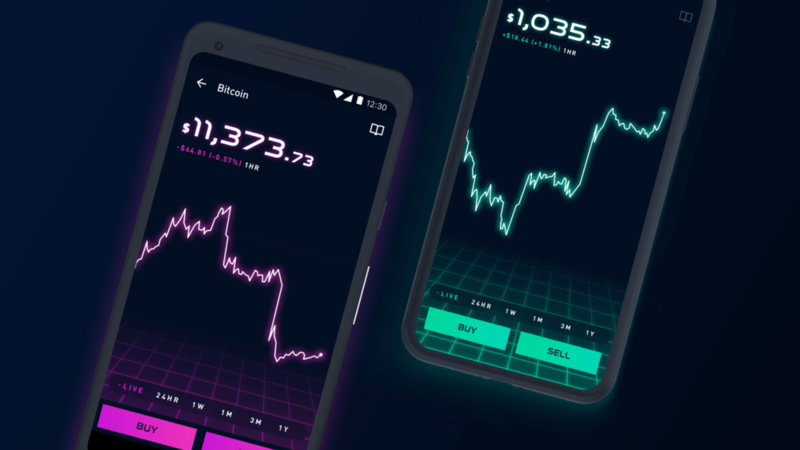 Robinhood has previously been focused on trading stocks and ETFs but they are now moving into cryptocurrency trading with their "Crypto, 24/7" platform. This will now allow their users to buy and sell Bitcoin and Ethereum with no transaction fees as well as let users track 14 other top coins. There are always costs inherent with doing financial transactions so Robinhood is "planning to operate this business on a break-even basis and [they] don't plan to profit from it for the foreseeable future." Standard trading platforms like Scottrade or E*Trade charge a fee of around $6 per trade in order to cover their marketing and retail footprint costs. Robinhood doesn't have any of that which is how they are able to offer their services for so cheap. Their main goal is to attract new customers that have been put off by the difficulty and cost typically associated with investing in cryptocurrencies. This will also help them expand their current userbase of three million who trade traditional stocks and ETFs. To date, they have handled around $100 billion in transactions and saved their users over $1 billion in fees. The platform will start with only BTC and ETH since Robinhood views them as the most mature. They will be very selective about which coins they add to their platform but will likely add more in the future. The platform will roll out in California, Massachusetts, Missouri, Montana and New Hampshire in February with more states to follow. Coinbase, the current de facto standard for crypto investing, typically charges 1-4 percent fees for their trades. Recently, waves of investors have left the platform following strong evidence of insider trading and market manipulation. Robinhood will give users immediate access to their deposited funds up to $1,000. If you wish to add more, you can use the standard ACH transfer but that will take a few days. Recognizing the volatility of the cryptocurrency market, Robinhood will also put in safeguards that automatically cancel trades if the price of a coin dips below a certain value before it is executed.